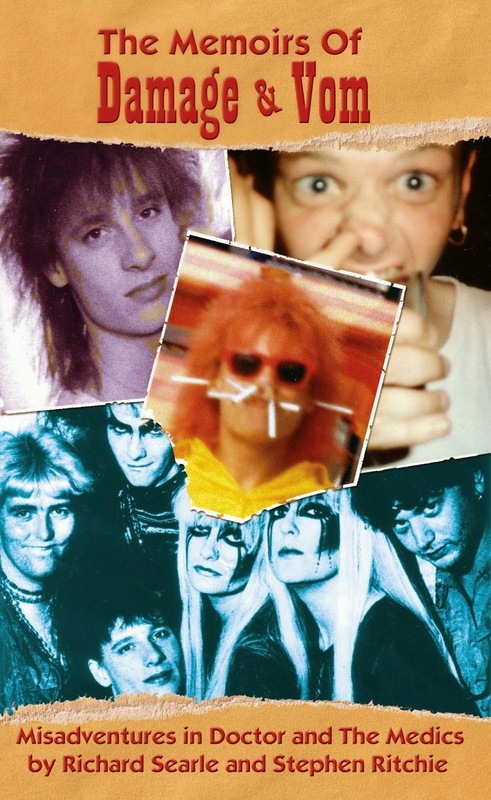 "The Memoirs of Damage & Vom" is a look into the crazy, wild times of the bass player and the drummer of the Doctor and the Medics. The reader is given a first-hand look at the dynamics between the members, the development of the band's sound, and their wild, wild antics. The reader gets to learn about what contributed to the band's development, such as how the members met. For instance, they had a drummer who was a hairdresser because he gave free haircuts. The book is also filled with hilarious stories. One of the stand-out stories involves one of the members eating a potent piece of hashish toffee before going to a bar where The Damned also happens to be. There is also a story where police search the band's tour van, finding a small amount of drugs. Because no one gives a confession, the whole band is jailed before a big gig. The band member who owned the drugs later states he felt the stint in a jail allowed for a nice "nap." This is a book with a very broad appeal. If you're someone who loves to laugh or just a fan of music memoirs, you will enjoy this book.